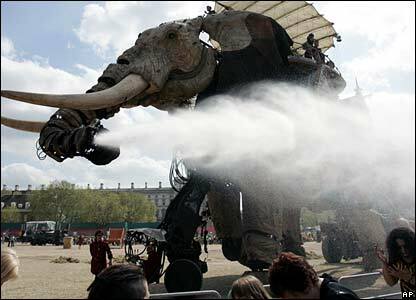 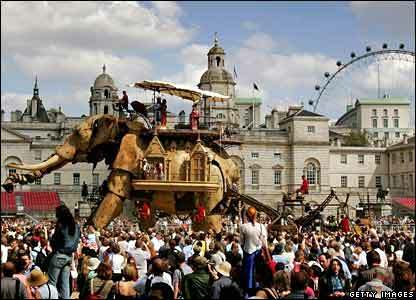 The 40ft mechanical Sultan's Elephant paraded through London closing roads and drawing thousands of spectators. 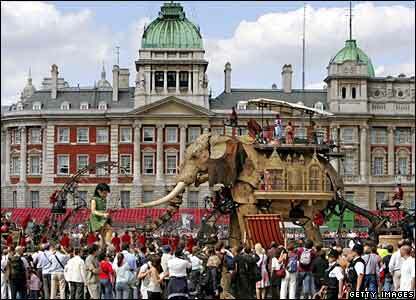 The 42-tonne beast is part of a four-day street theatre spectacle passing some of the capital's famous landmarks. 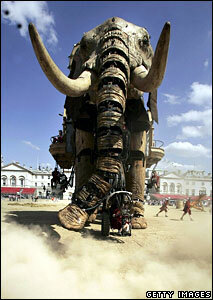 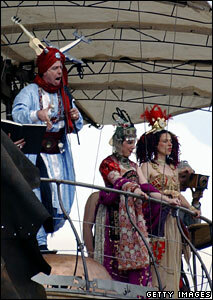 The show tells the story of a sultan from "far off lands" and his magical time travelling mechanical elephant. 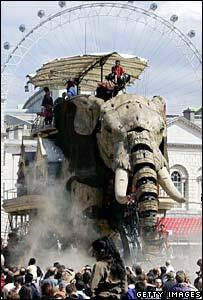 He became tormented in his dreams by visions of a little girl travelling through time and set off on his elephant to find her. 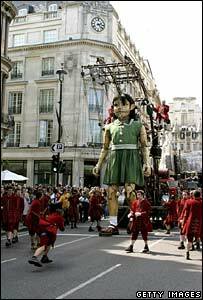 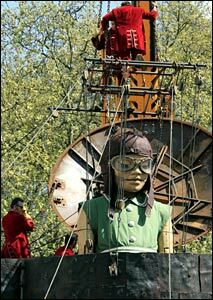 But the girl in his dreams is transformed in the course of his nightmares into a five-metre (16ft) marionette. 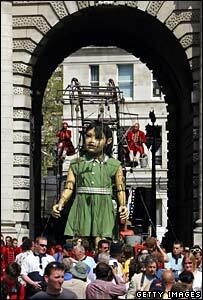 The girl then went on a walk taking in the sights of London.